Reviewed by Christopher Green, PhD candidate at Leiden University. Follow him on twitter @dest_pyongyang. Crisis as a driver of social change is scarcely a new idea. The desire to fundamentally alter the status quo appears to transcend partisan politics. Perhaps that is inevitable, for if one didn’t want to change the world, why would one go into politics in the first place? The only missing ingredient is the right and proper moment. But whereas some envision crisis in terms of opening political space for powerful elites to remake the world in a positive sense, Hyun Ok Park, with a Marxist historical brief, sees instead a free-floating process of unification of the two Koreas and their Korean-Chinese brethren rising from the ashes of societies reconfigured by the multiple crises of capitalism that beset Northeast Asia in the 1990s. That is, the 1997 Asian Financial Crisis, which did and continues to demand greater labor flexibility from South Korean workers; and the collapse of state distribution in North Korea in the years immediately preceding, which triggered a rush to one or other of Albert Hirschman’s exits—to China for some, and to a parallel system of market exchange for most. Park’s news is that these contiguous crises mean unification is already here; it is only the blinkered tendency of most to treat the nation-state as the only acceptable ordering principle of social life that obscures this stark reality. When North Koreans cross the Tumen and Yalu rivers, they form part of the “osmosis” of economic migration that is happening more or less everywhere, more or less all the time. Likewise for the remittances that flow north from Seoul and elsewhere in South Korea; the tens of thousands of ethnically Korean Chinese who, under a liberal visa regime, flow to the South annually; and all the intermediaries who facilitate these mass capital and human flows. On the other side of the coin, however, there is little or no room for transmogrifying these flows of people and capital into a lever for a new mass politics that might, in its turn, alter the way of things in a positive, productive manner. Efforts are made, but the target is slippery, and transnational capital never grants that kind of space; this is an impersonal response to crisis, at best. Park’s is an exciting, fresh vision. However, her conceptualization is also watery and open to ready critique. First and foremost, disjuncture rather than unity tends to prevail. Put the book down, look out of the window of a Dandong inn, and what you will see is a level of integration between the three economies that still depends heavily on contravening the will of state(s) through illegal and semi-legal border crossings of goods and people, and that is without the overwhelming economic and political differentials that foster strict social hierarchies and biases among the populations themselves. 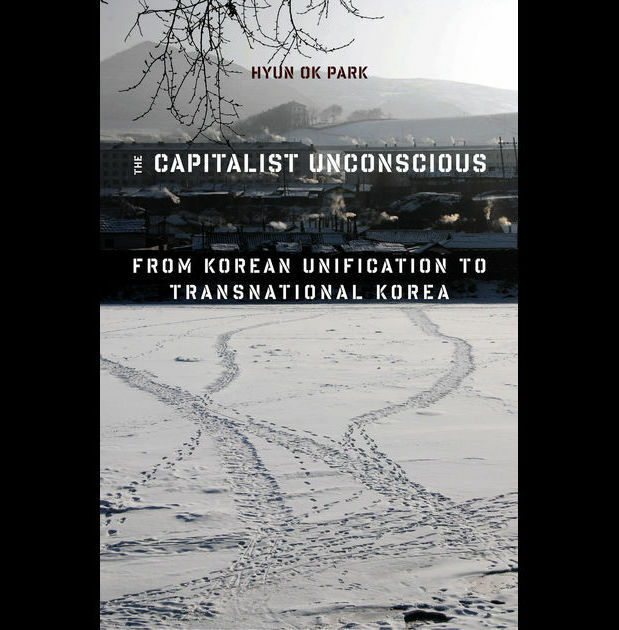 Transnational capital is powerful, yes, and we would be wise to thank Park for slicing through the demagoguery that hides this fact behind social discourses of democracy and freedom. This has always been the benefit conferred by Marxist historical analysis. But for all that, politics isn’t going anywhere. Borders are not wide open, and the majority of North Koreans shall never go across to the other side. Moreover, while “Transnational Korea” may be a real construct, it is far from being one of Ian Lustick’s “ideologically hegemonic” ones. Recent clashes between labour and capital in South Korea highlight the point that labour is up for the fight. Despite serious doubts about both motivation and competence, politicians and civil society leaders (including Seoul City’s left-wing mayor, Park Won-soon) still debate alternative ways of organizing society—economics with a sociological component, in Bourdieu’s encapsulation—even though their chances of revolutionary change are—and frankly should be—slim. In September 2015, a single toppled truck on the World War II-era bridge across the Yalu at Dandong was enough to paralyze legal trade into North Korea from China for days. North Koreans who attempt to cross a river to ply trade or make the indirect and perilous leap toward South Korea are prevented by force from doing so. It is best to view Park’s exceptional vision as lighting the lamps on a possible path, deftly highlighting the notion that apolitical trade and capital flows are in the process of unifying Northeast Asia as an economic entity, irrespective and disrespecting of political power in the hands of the region’s leaders—elected and unelected alike. But the picture she paints is not the done deal that is implied in this work of breadth and ambition.